WASHINGTON—Appearing to have become unhinged during recent questioning, White House Senior Advisor Jared Kushner reportedly whispered Tuesday, “I’ll have to obstruct one last thing,” before wrapping his gloved hands around special counsel Robert Mueller’s neck. “You want to talk about my security clearance? 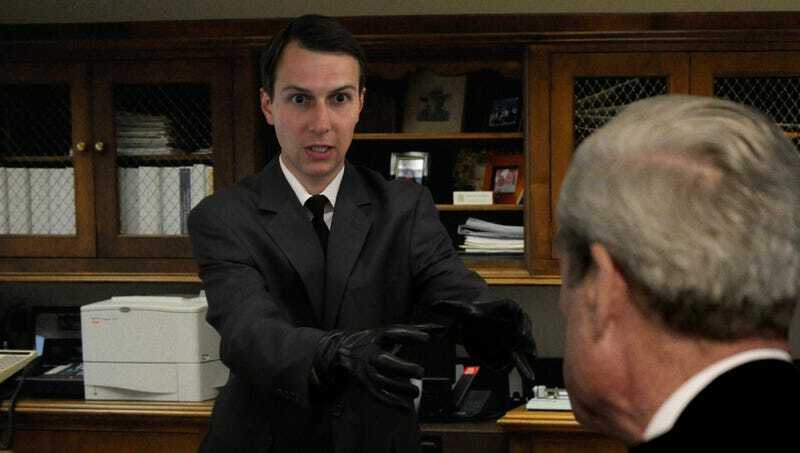 This is my security clearance,” said Kushner while he slowly strangled the former FBI director who had been conducting an investigation into Russian meddling in the 2016 presidential election with possible collusion from the Trump campaign. “You wanna tell me what I left off my SF-86 form now, Mr. Mueller, do you? Maybe you want to talk more Russian sanctions. Is this candid enough for you? I got your backchannel right here.” At press time, Kushner had reportedly started sobbing after jamming a finger on Mueller’s throat.